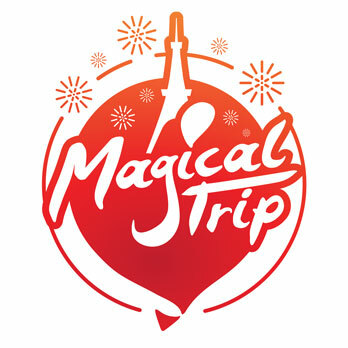 Nowadays more and more foreign tourists are visiting Tsukiji fish market to see the active market, which is known as the worlds largest fish market for its transaction amount. This market is separated into 2 sections: inner market for dealers and outer market for the public. Because the sushi shop “Sushi-dokoro Okame” that we are going to introduce in this article is located in the inner market, be careful that you don’t disturb dealer’s transactions. There is a street named “Uogashi Yokocho” in the inner Tsukiji market. This street is open for public and many famous sushi shops stand in a row. Sushi-dokoro Okame is located at 6th building at this Uogashi Yokocho. Although you usually have to wait for a few hours to enter a famous quality sushi shop, you don’t have to wait for hours to enter Sushi-dokoro Okame even although this shop’s sushi is so high quality. Online reviews also say that this shop is kind of an obscure but good sushi shop where you can get good sushi. And be careful that you don’t go to a wrong sushi shop that has the same as Okame at outer market. 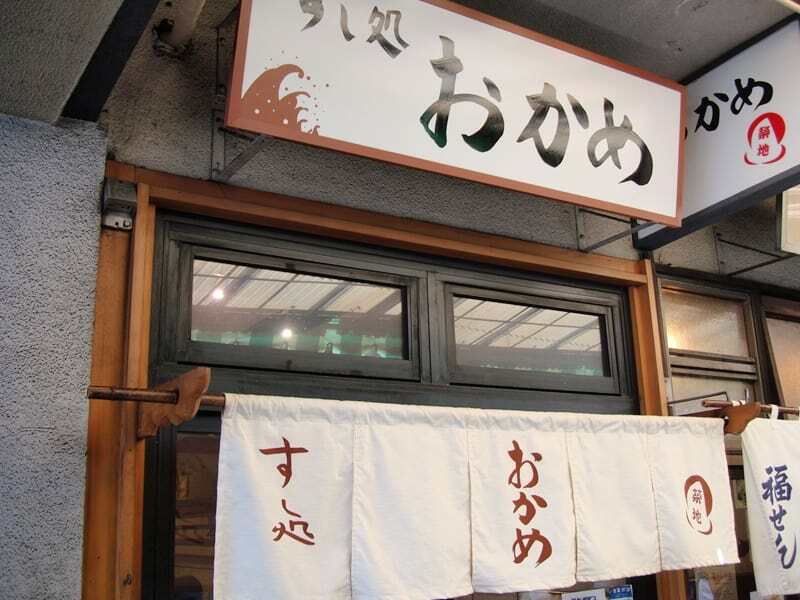 As same as other sushi shops at Uogashi Yokocho, this shop is also small and they have only 12 seats inside the shop. Sushi chef makes sushi just in front of you, but what characterizes this sushi shop is that the chef makes sushi carefully without haste. 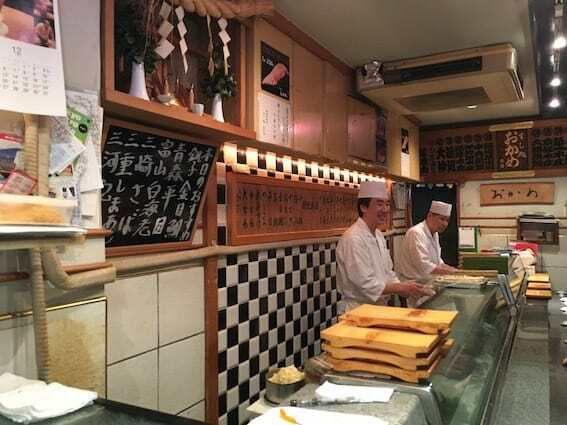 Although there are some sushi shops where you can eat sushi quickly, savoring the quality sushi slowly at this shop is one of another way to enjoy Japanese culture. Because inside of the shop is very Japanese and so clean, you can also enjoy the atmosphere. 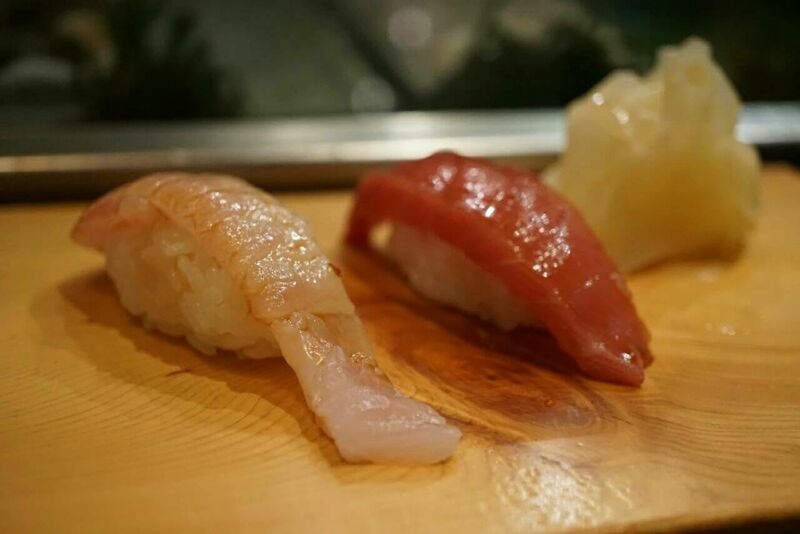 Their popular menu is “Omakase nigiri Course of the seasons”. Most of the customers order this. What characterizes this course is that you can order 2 whatever sushi you want. You can have your own sumptuous sushi experience. When it comes to food at Tsukiji inner market, of course sushi is so popular and many tourists come to eat it. But at Sushi-dokoro Okame, you can’t miss their specialty “Conger rice box”, which is another Japanese high-quality food like sushi. When you order the menu, they give you rice with conger roasted with sweet-and-salty sauce. If you want to try some Japanese cuisine other than sushi, how about ordering this? Open: 5:30 am – 13:30 pm for Mon.-Fri.
5:30 am – 15:00 pm for Sat. Close: Sun., national holidays, and 2nd and 4th Wed.